Today is the official day Apple is releasing its newest iphone called iphone 4 on June 24, 2010. 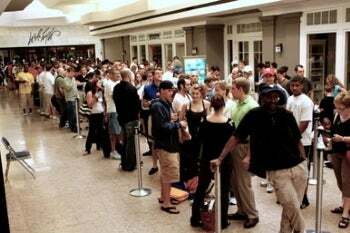 Thousands of people have been waiting in lines and reserving their spots trying to be one of the first to buy the new iphone 4. CNET put together a video to show us the first look at the new iphone 4 that everyone is buzzing about. Steve Jobs, CEO of Apple, reveals the new iphone 4. See what he says about the new phone and the features it offers.